If you need a document shredding service that comes to you, consider choosing A1 DATASHRED. We offer both business and residential shredding in Auburn MA five days of the week, making it easy to fit document destruction into your busy schedule. To make an appointment, all you have to do is give us a call. We’ll take the time to explain our services so you can choose the package that’s right for you, as well as answer any questions you might have about the process. After receiving your personalized quote, you can set a time for your appointment. We’re available Monday through Friday; we can even fit you in the very next day. Rather than make you waste time gathering your documents and hauling them to a facility, we come directly to your Auburn MA location, whether you’re a residential or business customer. When we arrive at your place, one of our uniformed techs will present their ID badge to eliminate security concerns. Then, they will transfer your papers and place into one of our locked bins, each of which can hold up to 300 pounds of paper. Immediately after being filled, each bin will then moved to our truck lifted, emptied and your files shredded. You’ll be able to see your papers as they’re being destroyed on a screen on the side of the trcuk. With this process, our trucks are able to shred 6,000 pounds of paper per hour, which is infinitely faster than what you could manage with a personal or in-office shredder. As a business, we know you may have varying shredding needs, which is why we offer two levels of business shredding service. One-Time Shredding – Our purge service options offer one-time shredding of business records you can order whenever you need. It gives you the flexibility to call us only when you decide you need us. We are happy to come once or periodically it is up to you. Scheduled Shredding – Let us help you on a regular basis. If you choose our Scheduled Service, you can have an ongoing schedule that is weekly, bi-weekly, or monthly depending on your needs. With this method, you’ll receive several of our locked containers at no cost to you, which are placed around the office and use for disposing papers. Then we will come to your office to empty each container and shred the contents. Privacy laws are becoming more and more strict — don’t take any chances with your confidential papers. Throw every piece of paper into our bins so we can eliminate the risk. You don’t have to be a corporation to benefit from our document destruction services. Our residential shredding program is just as popular, as we come directly to your home to discreetly dispose of your confidential documents. With the threat of identity theft ever present, you can never be too careful with how you dispose of credit card statements, old tax returns, Social Security notices, and more. Prevent yourself from falling prey to these thieves by having all of your old private documents professionally destroyed. To make things more convenient, we service our residential shredding customers Monday through Friday. Our residential and business shredding services help reduce your environmental impact. We recycle all waste from our document disposal process. With our process, we save 17 trees for every ton of shredding produced.  We are NAID AAA Certified for peace of mind. All of our staff must pass extensive background and drug testing. Call us now to learn more about our services, get a quote and schedule your appointment.